A Celebration of Reading in Rochester! 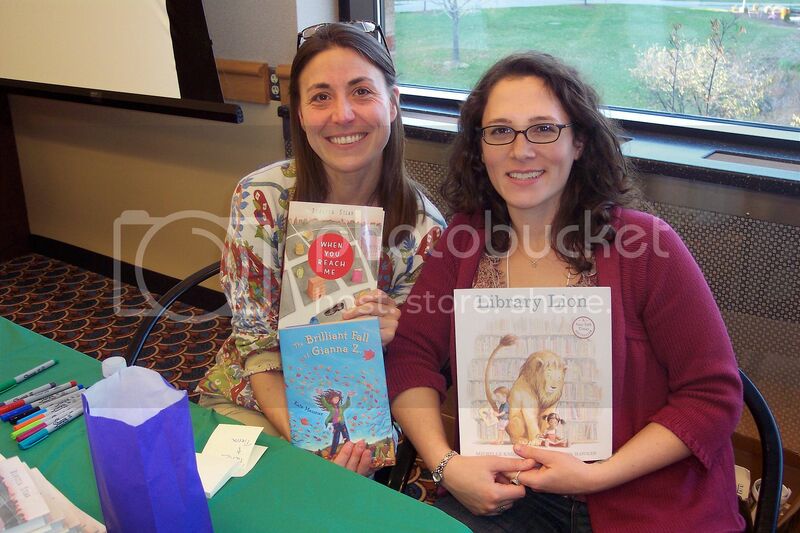 GIANNA Z. and I were part of a HUGE celebration of books and reading at the annual Rochester Chlidren’s Book Festival this weekend. 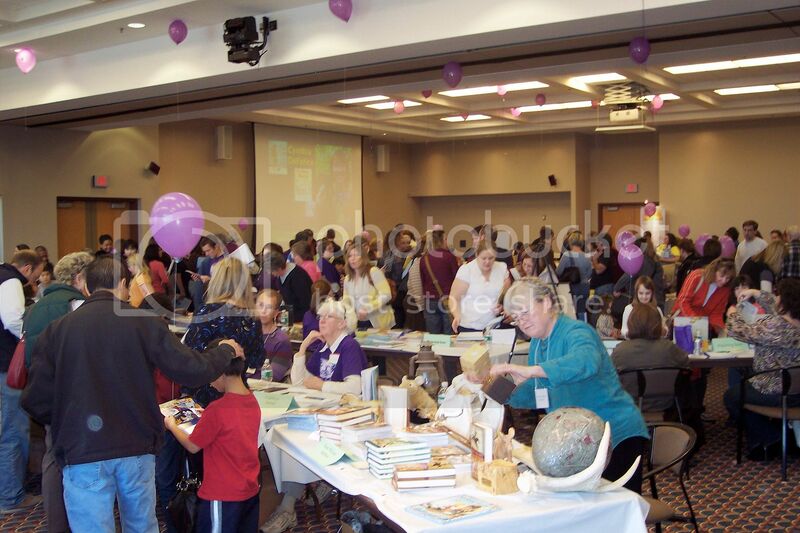 Families crowded into the festival at Monroe Community College to meet 42 authors and illustrators, make bookish crafts, listen to talks and read-alouds, and of course, pick out new books to have signed. I was lucky enough to attend this festival two years ago and was so excited to be invited back. I mean, really…how can you not love a crowd like this, all cheering for books? I loved visiting with all the kids, teachers, & librarians, and some LJ friends like too! The fantastic people at Lift Bridge Book Shop handled book sales for the event, and I was in awe of how efficient they were, even with such a great crowd. 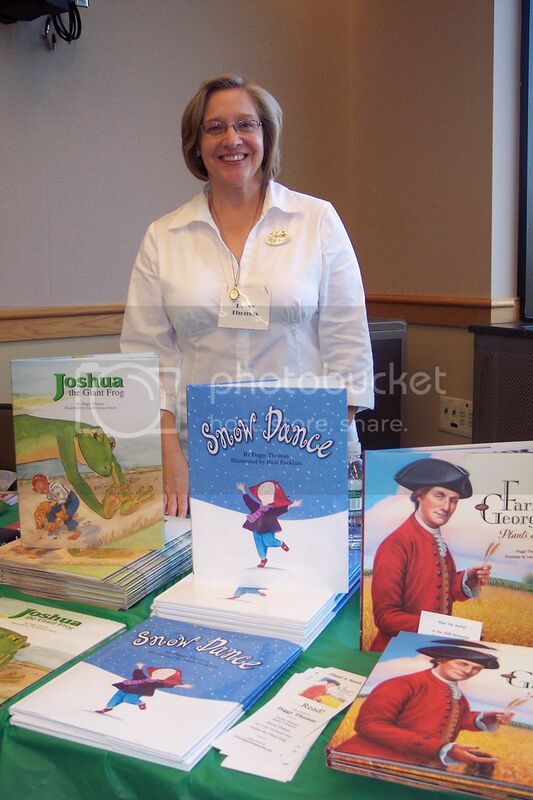 Here’s Peggy Thomas, my festival next-door neighbor with some of her fantastic, fun picture books. And more author friends… Rebecca Stead and Michelle Knudsen. My daughter came with me to the festival and had been talking for weeks about meeting Rebecca because she loved WHEN YOU REACH ME so much. When she finally got to say hello, she was a little tongue-tied, but did get to have her own copy signed, which made her very, very happy. We picked up a signed copy of Michelle’s new fantasy novel THE DRAGON OF TRELIAN, too – can’t wait to read it! 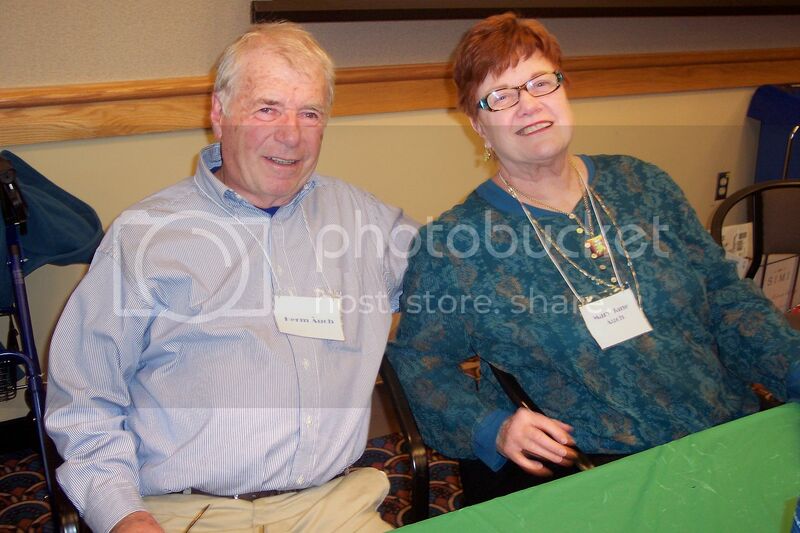 Here are Herm and Mary Jane Auch, one of the friendliest and funniest couples in children’s literature. E and I have been laughing over our signed copy of their picture book THE PLOT CHICKENS all weekend. And here, from right to left (pay attention…I’m naming people backwards this time) here’s author Elizabeth "Sibby" Falk, who organized this year’s festival and is one of the kindest, most talented, and most organized people I know. You really had to experience this festival to appreciate the work that must have gone into making everything run so perfectly. (Thank you, Sibby!) 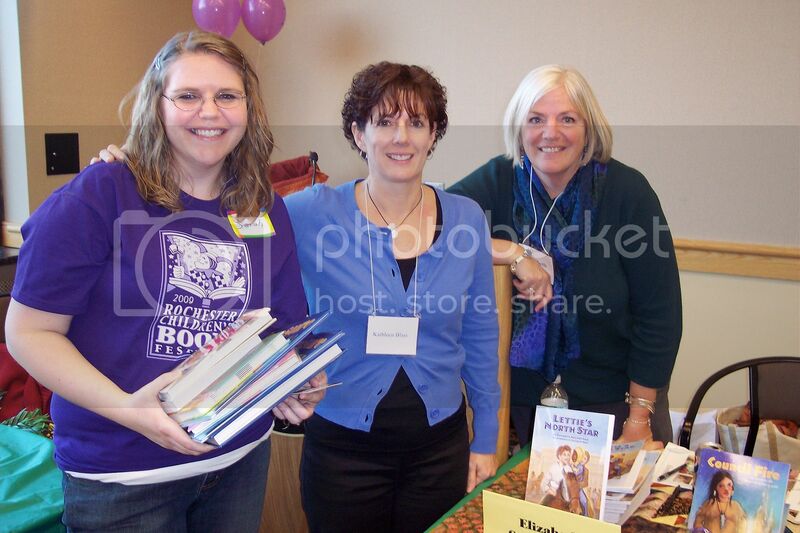 In the middle is another delightful and talented Rochester author, my friend Kathy Blasi. Both Kathy and Sibby write beautiful historical fiction, so if you’re a fan of stories from the past and haven’t checked out their books, you’ll want to do that. And finally, on the left in the photo is Sibby’s daughter Sarah. Take note of that purple shirt…the official uniform of the fabulous festival volunteers, who seemed to be everywhere. They set up and broke down the event, passed out programs, ushered authors to their presentations on time, and even came around with cookies at the end of a long day. The volunteers at this festival were amazing – so thank you, volunteers, if any of you are reading this. You made us all feel so very welcome and appreciated. This entry was posted in Uncategorized and tagged rochester children's book festival. Bookmark the permalink. Both comments and trackbacks are currently closed.